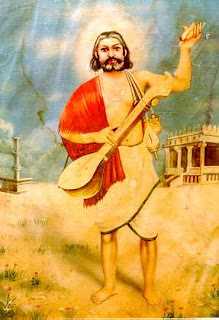 One of the most remarkable saints of the period of Purandara was Kanaka Dasa of Kaginele. He was a great disciple of Vyasarja, though a shepherd by birth and great critic of caste hierarchy. Kanaka was born to Biregowda and Beechamma, at Bada and hew as a saiva in the beginning, and later on became a close follower of Vaishnavism, and a devoted Bhakta of Tirupati Venkateshwara whom he visited often, in spite of the hazardous nature of the journey up the hills. 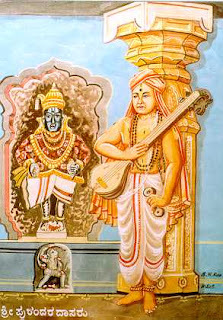 By reason of his devotion to Venkatesha and contacts with the archakas of the temple, there is a belief that Kanaka was a Vaishnavaite of the Ramanuja School, and never accepted a Vaishnavite of the Ramanuja school, and never accepted a Taratamya aspect of Madhva philosophy, as is borne out in the opening of his work "Mohana Tarangini': "Sattvikollasa Sri Ramanuja Muni Saranu!!!". A very good site which has lot information about India. I like the Biographies section which has the biographies of lot of great Indians including Saints, Poets, Kings and Queens, Leaders, Social Reformers, Scientists and Philosophers etc. Apart from the biographies section this site provides information about Indian culture and art, freedom movement, latest happenings etc. 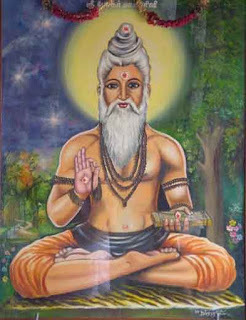 Trailinga Swami born to Narasingh Rao and Bidayabati in 1601, was a great Indian Saint who did tremendous sadhana for over 250 years and attained to the heights of spiritual knowledge. Swami is said to be the incarnation of Lord Shiva. His initial name was Shivaram. Shivaram was always a profound and seriously introspective child. For the most part he avoided regular childhood past times, preferring instead to spend his time in solitude. He was quite indifferent to the demands of the society around him. Rather his great joy was to listen to religious stories told by his mother. He spent 52 years of his life serving his parents and at the age of 52 when his mother left her earthly body, Shivram moved out of his house and started his search for the guru. He started his sadhana in the local cremation grounds, where he remained seeking wisdom for 20 years. 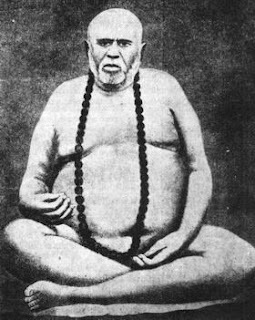 After that he went to many places including Nepal and finally settled in Banaras (Kashi) where he stayed for about 150 years.